HomeRubber Bracelet WristbandsAdult Size 8" Awareness WristbandsSupport Brain Tumor Awareness grey wristband - Adult 8"
This is a brand new design for SupportStore. Support Brain Tumor Awareness debossed message on a 100% silicon rubber wristband, individually packaged, and available now for same day shipping. Highly recommend them. Have ordered several bracelets in honor my brother who is fighting terminal brain cancer. Product is well made and the service and delivery is outstanding! The bracelet is exactly what we wanted. It arrived quickly. Appreciate this product and the quality and fast shipping! Will order more as I go through the brain cancer journey! It's a great way for me to advocate for brain tumor awareness which I am struggling with daily! Great quality & the message I was looking for! Only place I could find a silicone bracelet that actually said brain cancer awareness! Great quality. Not so thin that it will stretch out or break. Thick enough to last a long time! Very pleased to show support for Brain tumor awareness. 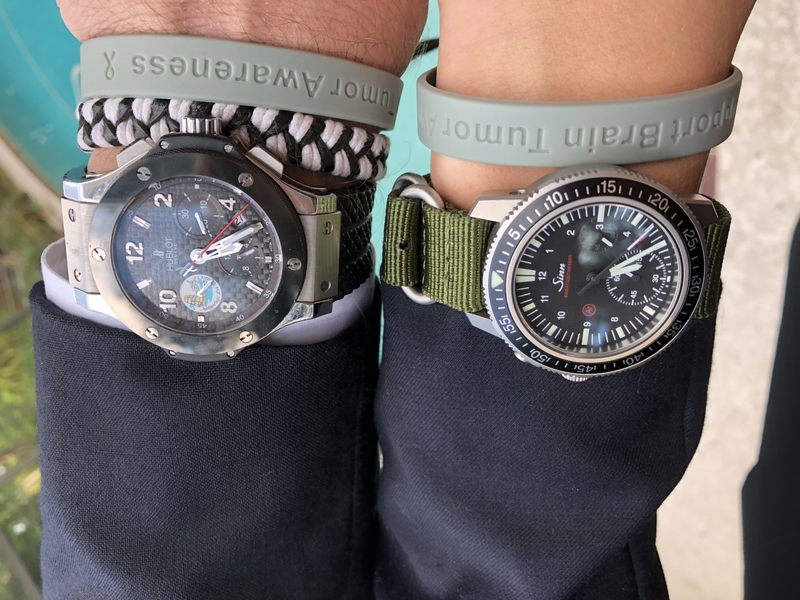 These bracelets do just that... show support. Myself with the tumor, these bracelets help with my personal moral through this trying time. I'm not one for making statements with my appearance, but I'd have to say I'm proud to wear it. "I have someone in my life I care about". The band explain the rest. My husband recently was diagnosed with a brain tumor. Ordered these wristbands for our family to wear and show support. Love the quality and durability. Just what we needed!! Quick shipping, very pleased with purchase! Would order from this company again! Excellent quality bamds & quick deliverey!! I've ordered several hundred of these & will be ordering more in the future! These bands look amazing and shipped very quickly. I would definitely order again when I need more. 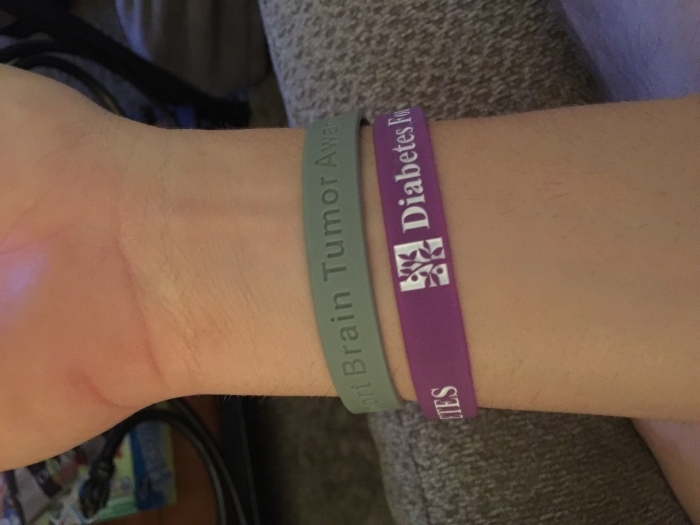 I ordered a few of the Brain Tumor Support wristbands recently and received them on time. They are very nice. Sturdy yet flexible material. Thanks! This bracelet is exactly what my family was looking for to show support for our family member that suffers from brain cancer. This product has been a HIT with everyone! I now have 2 different bracelets on. I love this style and it fits well. Also the pricing is soooooo affordable and the shipping is SUPER fast. I don't know where they ship from but I'm in Mississippi and I get mine in 2 days and that's with the free shipping over 40 or 50$. Which ever it is. I HOGHLY recommend them!!! Great quality, feels very sturdy like it will last a long time. Shipping was surprisingly fast only took two days. This wristband speaks volumes for what it stands for. I wear it proudly in honor of my son who is a fighting a brain tumor. This was exactly what I was looking for! It's perfect!